Moveable! Washable! Interchangeable! 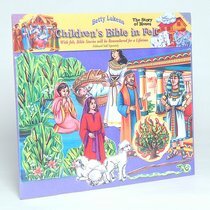 These pre-cut flannelgraph sets are compatible with all other Betty Lukens flannelgraph, making them ideal for use at home, at church or even travelling. Collect them all for endless fun and learning! About "Lukens Pre-Cut Story of Moses Set"